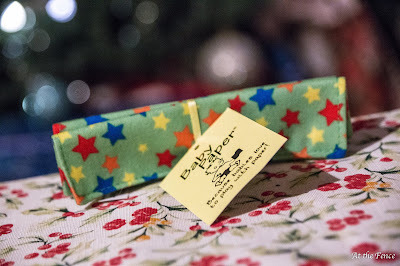 Here's a cute little gift for babies and toddlers. I found Baby Paper at ChiTAG this year. 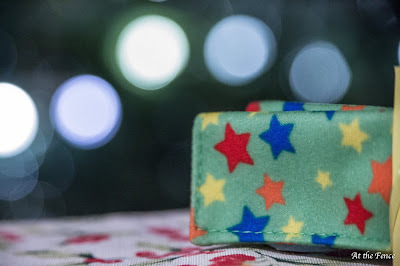 It is a good sensory toy for infants and toddlers. I received a square, the outside is a soft material, the inside makes a crinkling noise like crunching paper. The nice thing is this does not tear and can be washed if it becomes dirty. Not only does Baby Paper have these squares, they also have Crinkle Cuddlers, Fidgety Paper for older children, Rally Paper (based on teams), and Custom Paper, where you can choose a pattern. 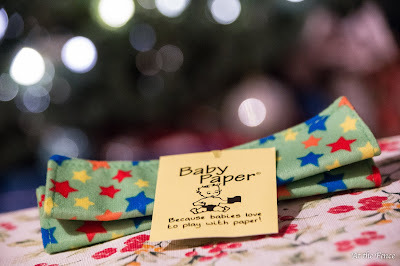 Where can you purchase Baby Paper products? Many retailers carry them in their store, but there are several shops that sell them online. Check out their page that lists retailers. Be sure to follow them on their social media.